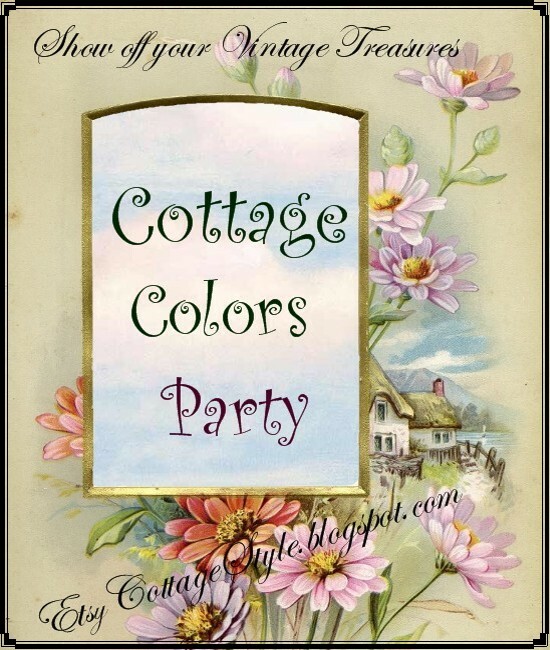 Embracing Cottage Style: It's time for a new party! Love Vintage Blue and participating in this party too! Blue is such a wonderful colour. It comes in so many shades and is so easy to combine with other colours. My link's attached! Thank you, once again, for a fun idea! I've got my post all up and linked back to here :) I had a few things that are vintage and blue to show everyone, and looking forward to seeing everyone else's blues. Love your pretty blog and what a fun party! I will have to join in sometime but today I'm having my own party. I'll be back, promise! My post and link are up. Should be a fun party! I'm not sure I can get in on the BLUE but...I surely will try. It was a very grey dark day here today, photographing anything was out of the question. But, I did have BLUE photos of bits and pieces in our French cottage, which I hope you will enjoy. Wow guys, we're so happy you all seem to like this new meme! We can't wait to show you the new ones to come. Hi Melody. Thanks for the invitation to the party. Glad I could join in with my blue. Lovely~lovely~lovely! 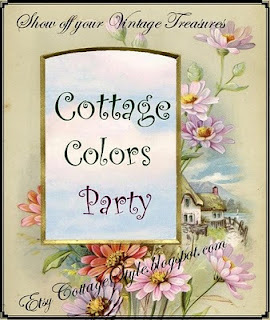 I love vintage, and I love your cottage style, your corner is soo lovely. It is soo me, am glad that I've found this room!